October | 2010 | Small Farmers. Big Change. 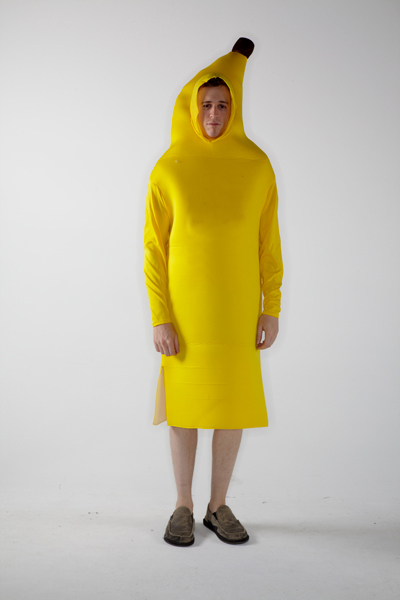 Once upon a time there was a very sad banana. “Why was he so sad,“ you might ask. Karen Clarke-Griswald from Harvest Market in Hockessin, Delaware, Santiago Paz from CEPICAFE in Piura, Peru, and Andrew Kessel from Equal Exchange in West Bridgewater, Mass., pose outside of South Station in Boston following the Fair Trade Futures Conference. I recently had the chance to attend the Fair Trade Futures Conference in Quincy, MA (Sept. 10-12) and found myself renewed with energy and new insight into what we are trying to accomplish with our work in Fair Trade. One of my revelations from the conference was how amazing it was that we could have meaningful discussions about Fair Trade with most of the representatives of the supply chain present. The contest was announced at staff meeting. Still… there was a challenge out there. I admit that I wasn’t really thinking about the contest; I was thinking about myself and my own selfish craving for some good chocolate. I was hiking in the White Mountains on an AMC (Appalachian Mountain Club) trip. We hiked up Mount Eisenhower, over to Mount Pierce, stopping at the Mitzpah Hut on our way back down. After 4 or 5 hours hiking, it occurred to me that I hadn’t brought a single chocolate bar with me. Who hikes without chocolate? And how could it possibly be that I, who share an office with Dary and Kelsie, and sit in a room loaded with boxes of every kind of chocolate you can imagine, could be at the top of Mount Eisenhower craving a chocolate bar? Que dunda! There in the hut dozens of people were gathered around the tables resting, drinking their hot beverages, eating their lunches, and comparing notes on the trails. A room full of tired hikers… where was the chocolate??? And then it dawned on me… what a lost opportunity! Imagine how happy these folks would have been if I’d walked in and started handing out Organic Dark Chocolate from Ecuador (65%) and Organic Chocolate Caramel Crunch with sea salt! Sadly, I resigned myself; took out my peanut butter and jelly sandwich and quietly nibbled while lamenting my loss. Equal Exchange has credited co-ops with building Fair Trade coffee and making the alternative trade system possible, by keeping farmers organized in developing countries, and connecting them to consumers through co-ops like Equal Exchange and their local food co-ops. This October, while we celebrate Co-op and Fair Trade Month, and consider the values and successes of these two movements that are so intrinsically connected, Equal Exchange would like to push ourselves even further. The support and collaboration of co-ops is crucial to the future of organic coffee. Declining yields due to soil exhaustion and global warming are threatening specialty coffee production, and the livelihoods of thousands of farming communities that rely on it. Once charged with making coffee cultivation economically viable for small-scale producers, Equal Exchange now asks co-ops to support those farmers in their efforts to adapt, innovate and invest in the future of high-quality, organic coffee. If you live in the Twin Cities area of Minnesota, you might have visited the annual Seward Arts Festival last weekend which featured more than 200 artists, musicians and peformers, with open studios, performance and live music events throughout the neighborhood. Seward Community Co-op timed their Principle Six launch event to coincide with this festival. The co-op offered food, prizes and specials to introduce the community to our new Co-operative Trade Movement, a joint project of Equal Exchange, Seward Community Co-op and five other leading co-ops across the country. By all accounts, it was a huge success! There were demos of P6 products, one-day specials on P6 items throughout the store, and shopping cart give aways for those who purchased $20 or more in P6 products. From this month on, Seward Co-op shoppers will be able to see on their receipts the percentage of their purchases that are P6… meaning the percentage of their total shopping dollars which they spent on products meeting our highest values: co-operatively owned, small farmer/producer, and local. 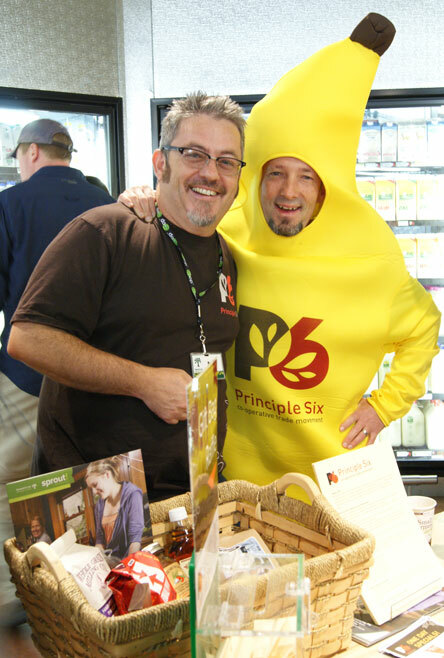 Read more about Seward Community Co-op’s Principle Six launch here. 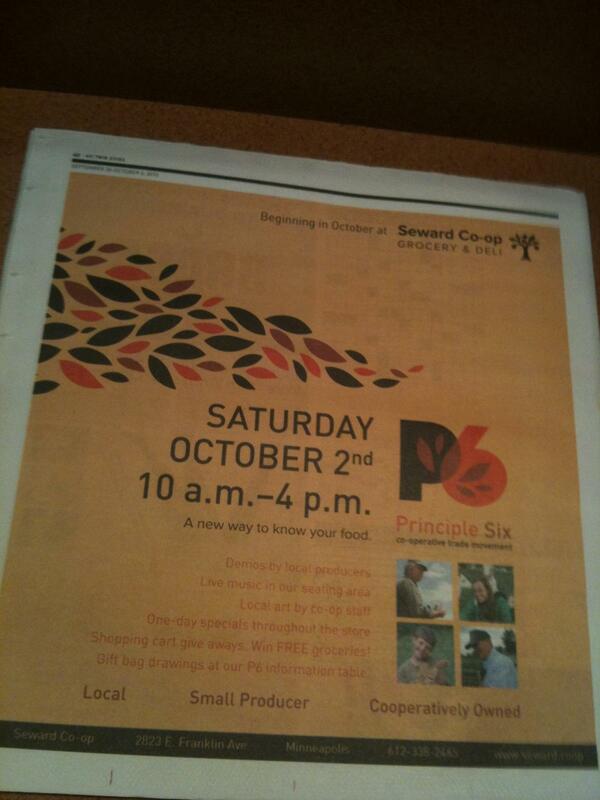 Read the front page coverage of Principle Six on last Saturday’s Star Tribune business section here. Q: What do Seward Community Co-op in Minneapolis, Minnesota, Nature’s Bakery in Madison, Wisconsin, Tierra Nueva Coffee Co-operative in Boaco, Nicaragua, Cabot Creamery in Vermont, and Equal Exchange, a worker-owned Fair Trade co-operative in West Bridgewater, MA all have in common? If you answered that each of these co-operatives is engaged in the business of providing healthy, high quality, organic food to consumers, you would certainly be on the right track. If you responded that each of these co-operative businesses is also committed to its own membership through education, democratic governance, and profit-sharing, you’d be even warmer. But, if you were to take one step even further, and noticed that all of these businesses, and many thousands more across the country, are now formally linked together in a new Co-operative Trade Movement, called Principle Six, your answer would be spot on. Principle Six: Co-operative Trade Movement. What on earth is that? Principle Six is the sixth international principle of co-operatives: co-operation amongst co-operatives. Simply put, it says that co-ops should support each other. They should trade with each other. They should lead with their values. We believe in this principle: so strongly in fact that we’ve decided to start living this principle to the fullest extent possible. Equal Exchange already buys all of our products from small farmer co-operatives. And food co-operatives already sell our products, and many more from their own local networks of ethical producers. But why not take this principle further, as far out there as we possibly can? Imagine the power behind an entire network of co-ops explicitly leading with their values and unequivocally encouraging their members to do the same: supporting small farmers and producers, local farmers and producers, and co-operative and non-profit businesses! That’s interesting… Tell us more! During the month of October, Equal Exchange and six visionary, consumer co-operatives across the country (Bloomingfoods Co-op (Bloomington, Indiana), Brattleboro Food Co-op (Brattleboro, Vermont), The Merc (Lawrence, Kansas), Davis Food Co-op (Davis, California), Equal Exchange (West Bridgewater, Massachusetts), Seward Community Co-op (Minneapolis, Minnesota), and Willy Street Grocery Co-op (Madison, Wisconsin), are launching an exciting, new pilot initiative to rebuild the food system and our local economies in stronger alignment with our co-operative values. We’ve done it before: the organic and natural foods movements were brought to you through the labors of the food co-op movement. Fair Trade was built through the dedication and commitment of farmer co-ops in the Global South and food co-operative members in the North. More recently, food co-ops have championed the Buy Local movement, once again putting concerns for the environment and local economies at the forefront. In fact, throughout the past 40-odd years, care for high quality food, the environment, local community control and democratic participation has run deep in the co-op movement. Yet, for all our hard work and well-placed values, we haven’t had the impact on the food system and the economy that we believe is necessary to provide sustainable livelihoods for small farmers, protect our environment, sustain healthy, vibrant communities, and put consumers in the drivers’ seat where they belong. Okay, but how are we going to do this? Today, October 1st, marks the beginning of National Co-op Month. We will begin highlighting and promoting those products which we believe meet our highest values. We’ll also be educating and engaging consumers to think about these products, the companies that make them, and the kind of food system we want and deserve. Through community events, in-store activities, and on our website, www.p6.coop, we’ll inform, promote, debate, challenge ourselves and each other, all the while learning, sharing, having fun (and of course eating and drinking well). Ultimately, we hope to strengthen existing, and build new, co-operative relationships between producers, manufacturers, distributors, retailers, and consumers thereby creating a web of new economic structures and patterns, that add value at every step in the supply chain. His words actually gave me goose bumps. This is exactly what we’re trying to do and the time couldn’t be any more right. The recent economic, banking, housing, and food crises – to name just a few – point repeatedly to the need for an alternative economic system. What better time than now to rebuild our local economies and food networks and what better way than through a co-operative trade movement? But don’t take it from us: this vision isn’t ours, alone. Tell us what you think. Go to www.p6.coop and share your opinions. It’s your movement after all.